light:light makes everything visible, but is elusive. This contradiction is a source of inspiration for artists. For scientists, it has been a subject of research for millennia. 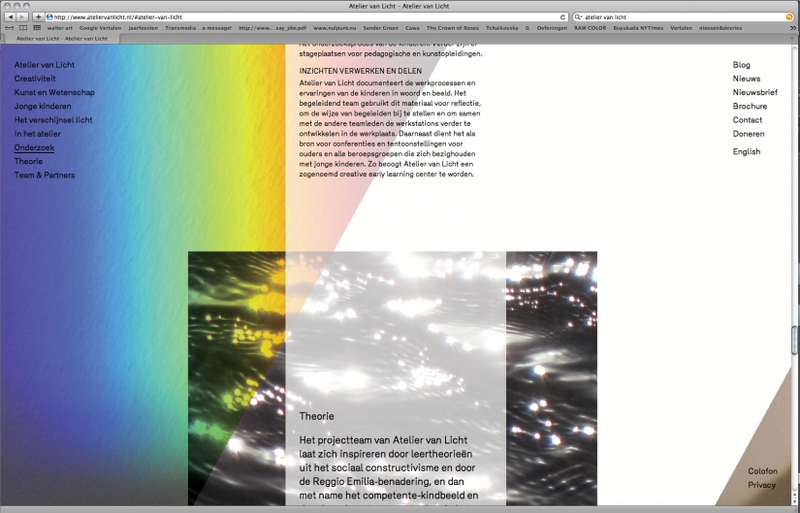 The design of the website tries to visualise both the artistic and scientific aspects of the Atelier van Licht.